I know, I know, I've said it before, I get a bit annoyed sometimes when people come to Hong Kong asking specifically for Peking duck. It's not because I don't like Peking duck (au contraire) but it's the same kind of feeling I get when people say, "it's my first time in China, and I'm surprised by its efficiency," when their only stop is Hong Kong. Yes, technically, Hong Kong is part of China now, but you have not seen China by coming to Hong Kong. 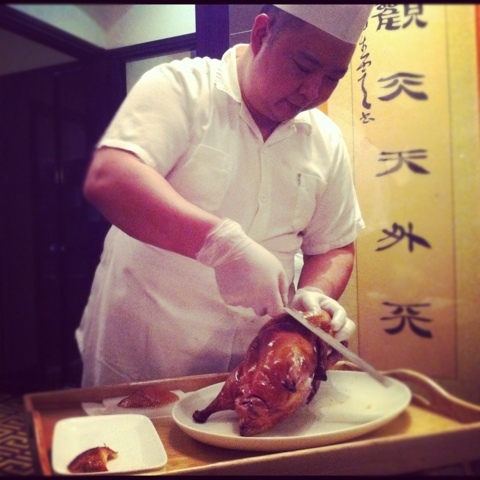 To that end, I feel weird saying that I had the best Peking duck I've ever had in Hong Kong. 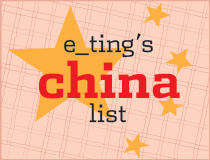 I've been to the usual Peking duck haunts in Beijing - Duck de Chine, Dadong (a few branches) and so on (and am happy to learn more - spill your secrets Beijingers!) but none were quite as delightful as this. 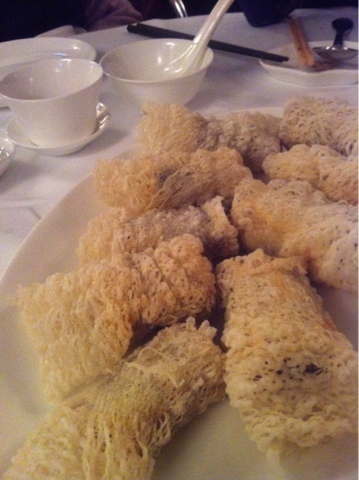 One of my main qualms about Duck de Chine, for example, was that they insist on carving the skin up into such thin strips that by the time they're done doing that, the skin has gone cold. 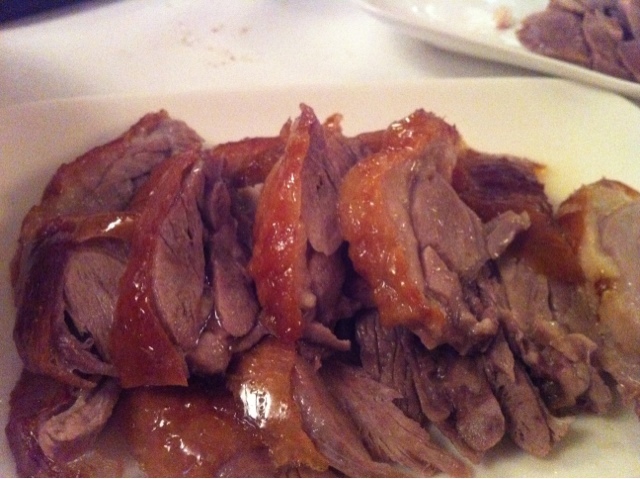 The amazing thing about the duck at Kowloon Tang was that it was scorching hot, as if the oils were still bubbling on the skin. It was served, from what I remember, two ways. Skin only, then thighs. There might have been another dish that was offered to us - duck soup, or duck mince in lettuce cups, and we may or may not have had them, honestly I can't recall. The skin had a pretty thick layer of fat, but it was so crispy and light that you don't really feel the grease (until about an hour later... ahem). Biting into it is some kind of poultry heaven where the oils are at once fragrant and silky, like a crisped hot micro-sponge under another crisp (but hot and tastes like meat). You've supposed to sprinkle a little sugar over it, but I liked it just the way it was. The less time between the duck, plate and my mouth the better. Hot fat is so good. The thighs were incredibly juicy, like a good chicken thigh but with the addition (slight) gaminess of duck, and that was gloriously skin-on. The skin on the thighs weren't quite as crispy, as the duck's own juices and condensation etc. had started to soften it up, but it was divine nonetheless. A lot of the time, we get dry stringy thighs, but this was far from it. I know the photos aren't very nice (iPhone4, unedited, sorry I'm lazy like that) but you can see that the colour of the skin is a little lighter than a normal Peking duck. I don't know how or why, but the colour certainly does not indicate under-done-ness (is that a word?). I should also mention that the decor is really cute - bevelled mirrors, silver accents, wooden panels, retro carpets - if you can, get a table by the window on the second floor, it's like you've entered a private club in Shanghai in the 30s. Oh wait, so are we one country now? I don't remember much because I was in a frenzied discussion my family (we, or maybe I, talk like we're on the verge of break down when we really want to get our point across. 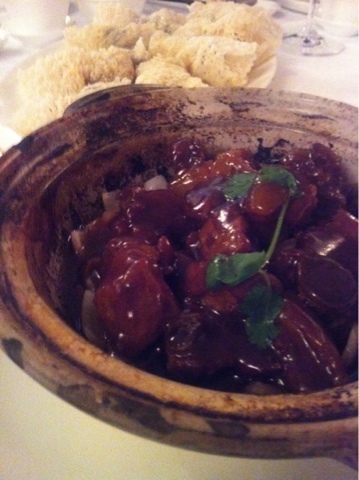 It's embarrassing to watch) and was too engrossed to really enjoy the food. Sounds like my family. In fact, sounds like most Cantonese families when having a lively conversation over a meal! Are for real? The duck was very disappointing. There is no where near enough duck per carcass. I've been too around a dozen restaurants in China and Hong Kong, and this was the worst. the flavor was good, but not stand out. The Hoi Sin which their chef spent 6 hours reducing wasn't great either. If it ain't broke, don't fix it. Very disappointing, especially when its 600$ a duck. Go to Spring Deer, dear. Time Out Hong Kong - Special Food Issue! 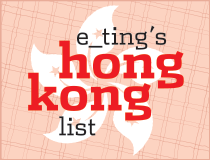 Eater Hong Kong Heatmap - round two!